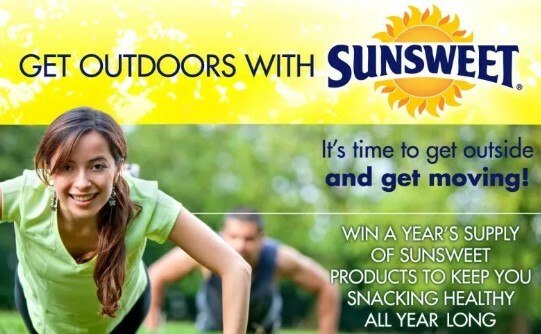 Farm Star Living thinks it is time to get outdoors and get moving so they're offering a chance to enter daily to win a YEARS supply of Sunsweet products and a $500 gift card for extra motivation! The approximate retail value of all prizes is $600. The prizes are: A year supply of Sunsweet products (retail value =$100), and $500 gift card. HINT: Technically, you only will enter once, but you can tweet DAILY for entries every day!